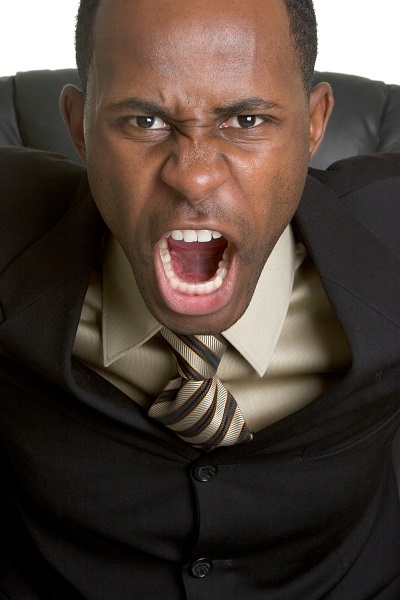 How to Control Your Anger - Haba Naija! Anger is the is an emotion related to one’s psychological interpretation of having been offended, wronged, or denied and a tendency to react through retaliation. Anger is a completely normal, usually healthy, human emotion. But when it gets out of control and turns destructive, it can lead to problems at work, in your personal relationships, and in the overall quality of your life. And it can make you feel as though you’re at the mercy of an unpredictable and powerful emotion. Anger can be expressed externally with a strong or straight facial expression or making loud sounds or even damaging objects, and all these could lead to people staying away from you if not checkmate. But how do we checkmate this despite being ticked off? Here are some tips. When you sleep well, your mind becomes clear and you can now think straight even under pressure. Experts suggest that adults should have hours of minimum sleep each day. Simple relaxation tools, such as deep breathing and relaxing imagery, can help calm down angry feelings. There are books and courses that can teach you relaxation techniques, and once you learn the techniques, you can call upon them in any situation. When someone does something that seem to have angered you, try keep quiet and don’t say anything, because you don’t make the best decisions when you are angry. And if they don’t seem to stop, just leave that place and go to a different location. When you seem to be passed off, try watching some funny films to lift your spirit or you can even listen to some songs with good lyrics. Roy Oritsegbubemi Ekengbuda studies at the University of Benin, he is extremely fascinated by the ways the Internet has revolutionised how we live and do business today. When not writing or blogging about the Internet and other technology related topics such as smartphones, tablet computers, games and consoles, Roy enjoys surfing the net, listening to local radio station and watching sports. He contributes to Haba Naija technology and sports section, he is also the administrator of the sports and technology sections of Haba Naija Forums. Taking enough sleep is the best medicine to all the stress related problems. Anger will suppress when you are taking enough rest. Although anger is a healthy emotion, it will break your relation with others. So learning techniques for coping your anger is good.